The Governor of the Bank of Ghana (BoG), Dr Ernest Addison has said the banking sector reforms that begun some two years ago has been completed. Speaking at a press conference on the banking sector reforms Friday, Dr Addison said the number of banks in the country has now reduced from 36 to 23. He said 16 banks – Ecobank, Zenith, GCB, Standard Chartered, Stanbic, Fidelity, UBA, Barclays, Access, Consolidated, CAL, FBN, Republic, Societe General, GT Bank and the Bank of Africa – have so far met the minimum capital requirement as at December 31. 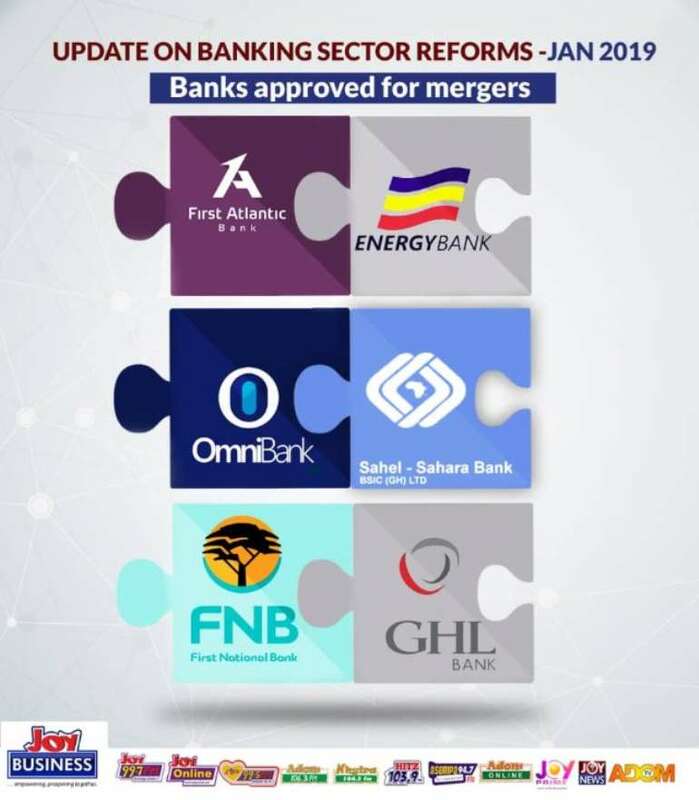 Three banks – First Atlantic Merchant Bank/Energy Commercial Bank, Omni Bank/Bank Shael Sahara and First National Bank/GHL Bank – have also received the blessing of the Central Bank to merge. Five indigenous banks – ADB, NIB, Omni/BSIC, UMB and Prudential – will be benefiting from government GAT initiative with the Bank of Baroda existing and transferring its customers to Stanbic Bank.